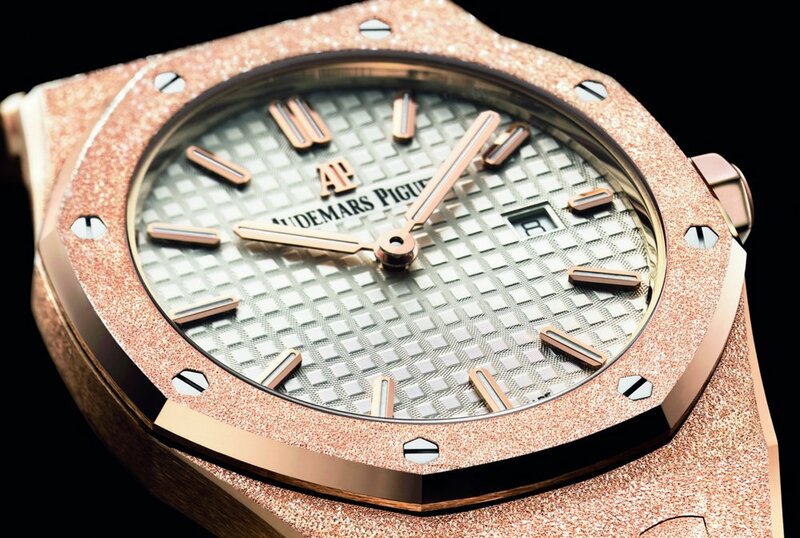 Among the six preselected watches in this well-subscribed category, the Audemars Piguet Royal Oak in Frosted Gold is arguably the one piece which is most familiar to the wider luxury market sector. If sales figures alone bore any influence on the outcome of the jury decision, then it's no huge stretch of the imagination to say that it could outsell the other five contestants - combined, and by multiples. But even though those big box-office numbers count for little at the Oscars of Watchmaking, this is still a heavyweight contender for outright honours here, and for more than the most obvious reason. 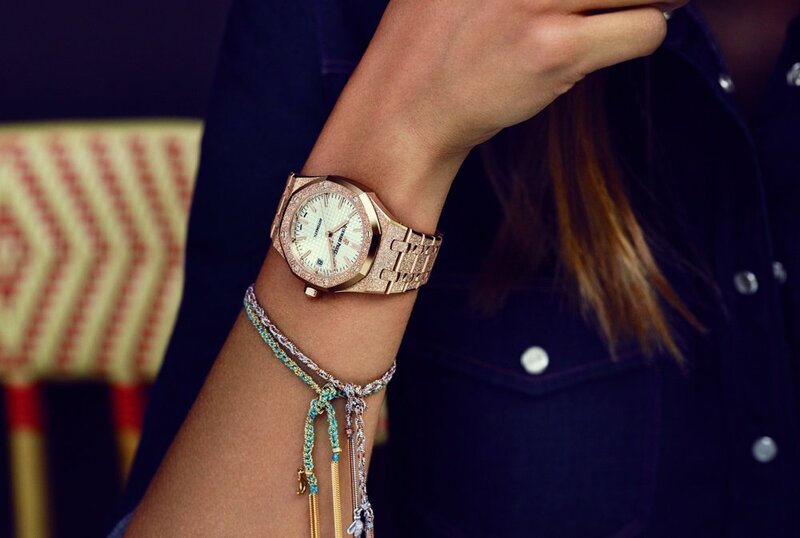 An undisputed design classic in its own right, the Royal Oak needs no introduction, and in truth design wise there are few changes to the much loved recipe, but foremost among those is the quite remarkable effect of the frosting technique on its rose gold case and bracelet. The upward facing surfaces resemble a luxurious golden sandpaper, with tens of thousands of minuscule hammered indentations creating a dazzling, sparkling, irregularly textured finish, which transforms the aesthetics. 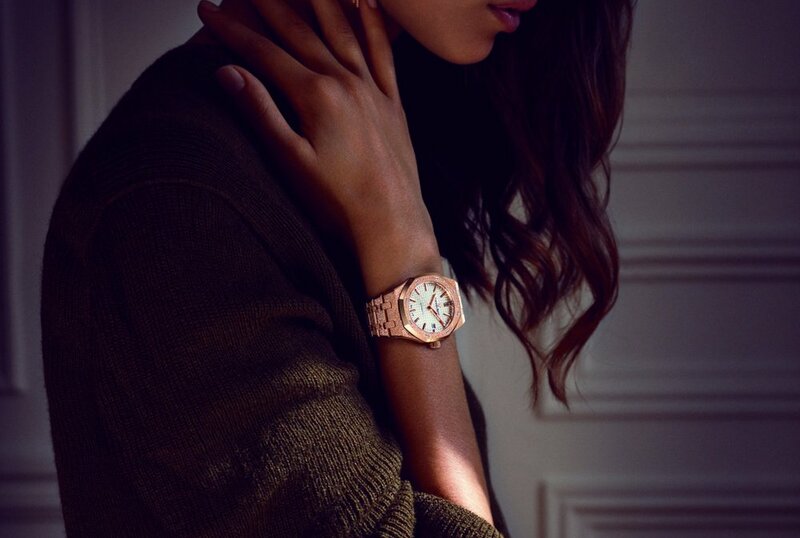 With its unmistakable profile and signature features, such as the screw-fixed bezel, tapisserie dial and torpedo shaped hands and indices, the Royal Oak is a watch which simply refuses to age, and in its refined yet reassuringly solid 37mm size it's businesslike yet totally glamorous too, and that might be a factor on Awards night. Why? Well, because unlike the other five pieces, and despite the fact that it's unquestionably luxurious, it's also the most versatile, dare I say practical, watch here, and its horologic credentials are impeccable. Will it win the Aiguille for its category on November 8th in the Théâtre du Léman in Geneva? Well, considering recent winners in 2016; Piaget for their not significantly dissimilar gold and diamonds, time only Limelight Gala, or the more extroverted Hublot Big Bang Broderie in 2015, and Blancpain the year before that, it could be suggested that pedigree is at least partially relevant, but even so, the Royal Oak Frosted Gold has been winning a lot of love from the critics, and in particular the girls.